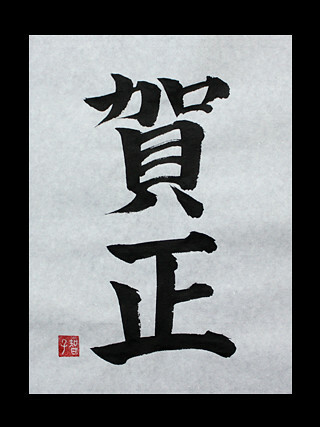 “Gashou” – Japanese Kanji Symbols for A Happy New Year! I wrote “Gashou“. It means “A Happy New Year!” in English. “Shou” is abbreviation of the New Year or January in this case. We have many New Year’s greetings. It is the easiest of them and used in New Year’s card. We don’t say “Gashou” to others, we say “Akemashite Omedetou Gozaimasu”. What is your favorite word about season? I’m waiting for a request.